Childrens book illustration assignments are always a part of my services I offer to publishers. 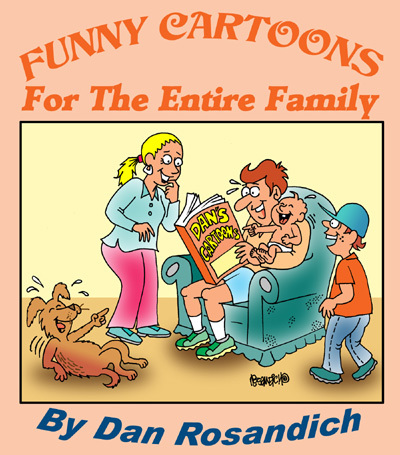 I illustrated one specific book many years ago that is still available online. 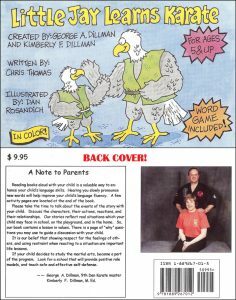 Little Jay Learns Karate is a book written by Chris Thomas who is a self defense expert and the book was published and distributed by none other than George Dillman of Dillman Karate International. This book was one of my very first children’s book illustration projects and the back story on how I got the assignment is a bit interesting in a round about way. I thought sharing this book and the story behind it may be of interests to cartoonists and children alike. Not to forget any karate or self defense aficionados! Although it may not be considered one of the best children’s books of all time, it has sold well online and at book fairs and via Dillman Karate International. I’m also selling it directly here if you’re interested in getting a copy directly from me. Simply send $7.00 using your credit card that can be paid into this PayPal link (and you don’t even need a PayPal account to do so) and just click the top PayPal button “Click Here To Pay” and enter the $7.00 fee in “Price Per Item” box, go to “Continue” and you’re order will be taken care of. Make sure to provide me with the mailing address you want the book to go to and it will be shipped immediately. My cartoon promotional samples were featured in another book “How To Draw Cartoons Editors Will Buy” written by cartoonist George Hartman. It was through this book, that publisher George Dillman had found me. I really couldn’t believe it when he told me but it goes to show you that no matter what kind of projects you participate in, it can lead to greater things! I continually promote my book illustration services and am available for illustrating children’s picture books and ask that my samples and links be forwarded to an associate publisher if you know anyone specializing in these kinds of books.